I was driving my Mack truck down the road coming back from a crane job and all of a sudden I thought my drive line lost a u joint. The noise was impressive, and sounded expensive. I immediately pulled over and to my surprise, everything looked OK down under. I carefully got back up to speed, and didn't hear the noise anymore. 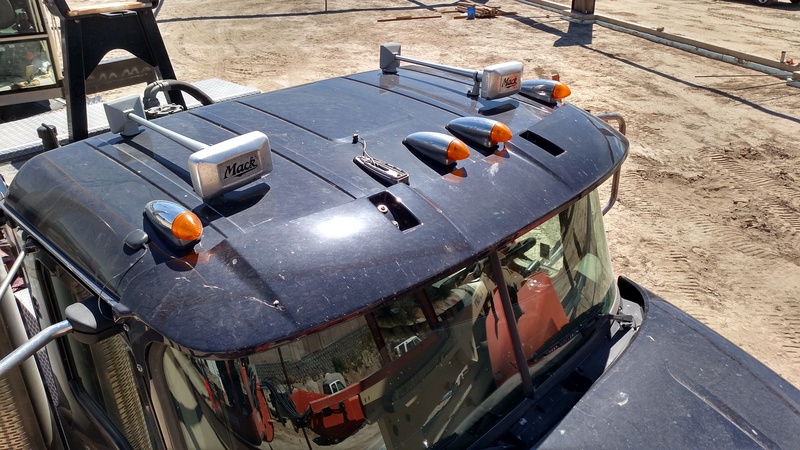 I forgot about until a week later, when I saw I had lost a light up top, and the noise I heard was the light, still attached by the wires at that point, banging on the cab roof. When you called Watts Mack (provider of the BMT website) at 1-888-304-6225 with your truck's model and serial number located on the vehicle identification plate, what did they say ?